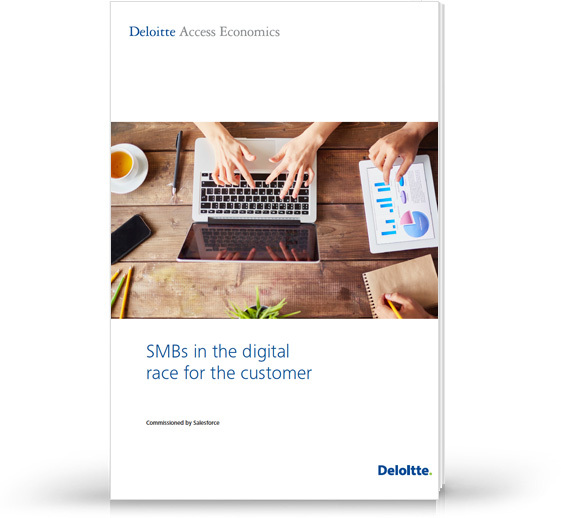 Download this report to learn how other small business leaders across Australia and New Zealand are edging out the competition in the digital race for the customer. This study from Deloitte Access Economics proves digital is not just for those with online sales. Whether you run a corner shop or e-tailor, you can increase revenue by making smart investments in digital. As a small business owner, manager or marketer, you will discover just how much revenue you could unlock. A 1% increase in online services, for example, could increase revenue by as much as $100,000. Nearly 50% of small business owners surveyed in Australia and New Zealand rank customer retention as the number one factor for success, yet many lack the data and tools to build loyalty. Find out how savvy businesses are capturing information to build personalised relationships and pre-empt customer needs.